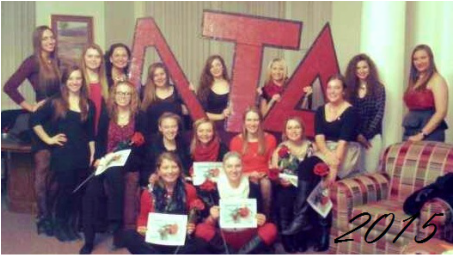 Lambda Tau Delta - Welcome to the nest! The purpose of this organization shall be to maintain a bond of sisterhood and establish loyal and lasting friendships in correlation to that relation of sisterhood. Lambda Tau Delta aspires to enhance each member, support the University of Dubuque in its mission and aid the community of Dubuque. Through the aim of establishing sisterhood, a poised, dignified and versatile character will be implemented among members, as well as a respect for the Greek institution and the high moral and ethical standards that the University of Dubuque expects. This sorority is committed to nourishing the improvement of the community and the University through voluntary measures. It's that time of year again! Let's congratulate our newest executive board! Want to make a donation? You can make a check out to Mariah Balmer, our Treasurer. But don't just send a check! Let us know how you're doing, what you miss about us, or whatever might be on your mind about Lambdas!